The room was again improved ion. We added a resistor between Gate and mass, to stabilize the voltage of the FET with very humid air (stable measurement up to 70% humidity and over). And we have increased the stabilization, both the amplifier circuit, that in the high voltage generator. For more information, please read the documentation for the application Geiger and previous versions of the ion Chamber. The features are exactly the same of the DIY version, but the vibration resistance and weather resistance is increased. The Center electrode is no longer a thread (that can vibrate) but a stiff rod 2 mm, solidly fastened with insulators. 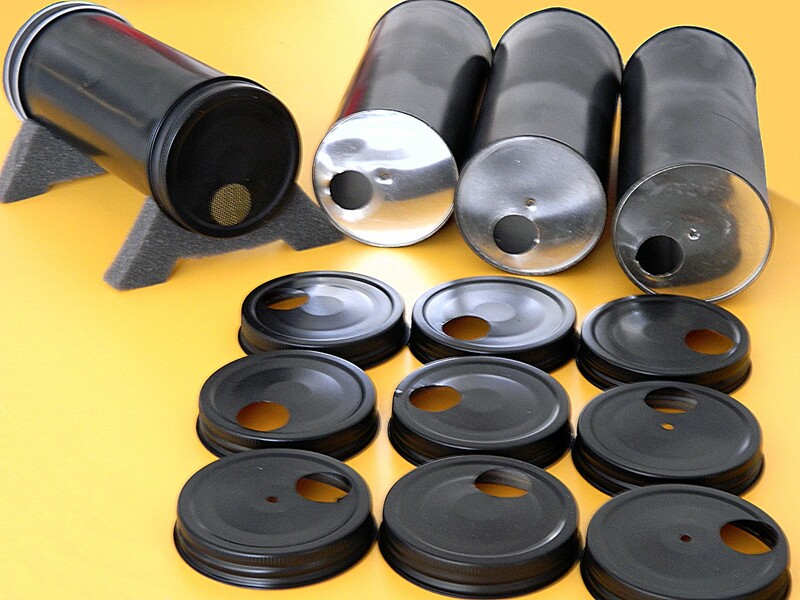 The outer casing is made of steel 316, that not only is unaffected by vibration, but you would go over with a car. This version can also be certified. For more information contact Carman, and the firm LACERC. Connect the camera to any ion Counter type Master pin (no need to Search). So only one Master you can connect a Geiger and up to 5 ion Chambers. 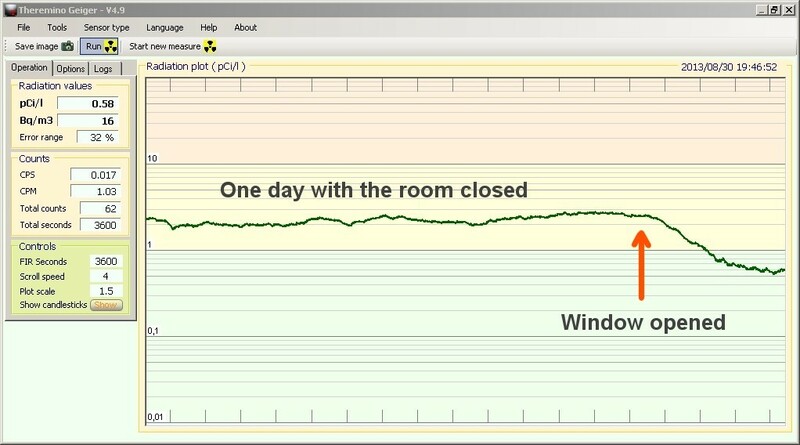 Below are some pictures of rooms at ions used in the tests. 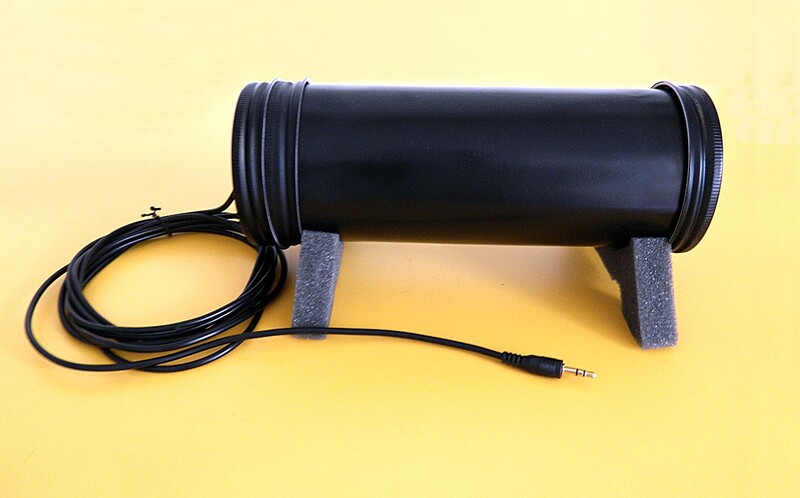 The GeigerAdapter is the link between all the usual Russian or American production requiring geiger tubes from 300 to 550 volts of power and standard signals of the system Theremino. These adapters to geiger tubes produce a standard output signal, compatible with the inputs of type Counter (only for low levels of radiation) or rather FastCounter which works well at all levels, up to the maximum measurable with geiger tubes. The supply voltage can vary between 3.5 volts and 6 volts. The power consumption is about 10 au with normal radiation levels (around 0.1 micro Sievert per hour) and grows to 6 but when radiation is equal to the maximum measurable with geiger tubes. (about 10 Milli Sievert) High voltages are present as this module is perfectly safe, his current limitation at 25 micro amps is so effective that can be touched with bare hands at any point without danger and without feeling the slightest feeling of annoyance. The Geiger Adapter connect to a Master Pin (or of a Slave) configured as FastCounter. To connect them in the laboratory using extension cords male female, no screens, that you normally use for all links in the system Theremino. If required you can connect multiple extension cords from 60 centimeters in series and get up to a few meters away. For longer distances you have to use a shielded cable. Microphone cables with two wires red and white interior, are great, are robust and have the tear-resistant rope. Maximum shielded cable length is 500 meters and beyond (provided you follow the following guidelines). With long connections you should use GeigerAdapters with low output impedance and an end-of-line resistor to protect Theremino Pin from overvoltage. 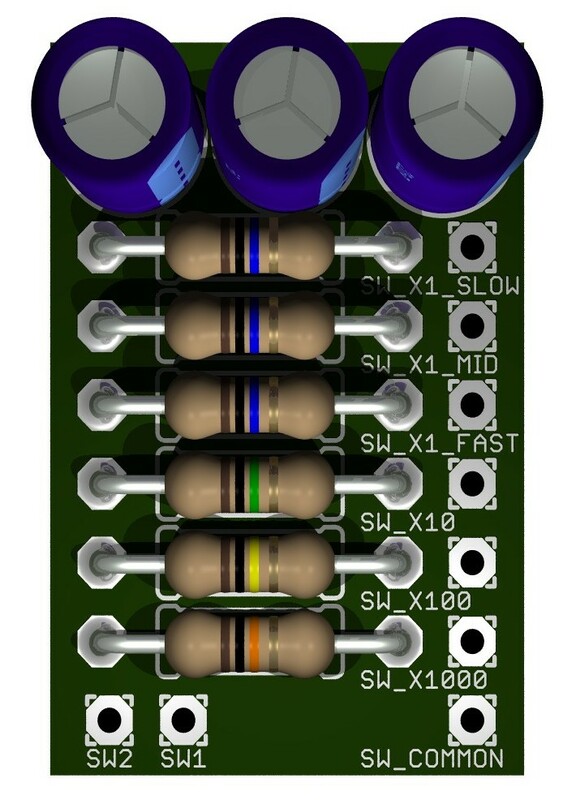 1) About Geiger Adapter SMD version, bridging the R10 from 33k or saldarci over a second resistor from 1 kohm (for the Geiger Adapters “DIY” and “Flintstones” This variation is not required because they already have a low output impedance). 2) Add a 100 k resistor in series with the signal wire, at the end of cable, within a few centimeters from the Master. Attention: These resistors from 100 k you bring only on pins configured as Input (ADC, DigIn and similar). You do not need to add resistors to Output Pin, or even worse to the serial line, connecting the Master with the Slaves. 4) Avoid routing the cable in the same pipes (or cable ducts) electric plantor. Avoid strokes outdoors on flying spans or on poles. The strokes outdoors must be protected with grounded metal pipes and masonry. The areas that should be on top, for example on a roof, must be protected from the Sun with canopies (many geiger tubes over the 50 grades go crazy). Metal sheds should be grounded for Lightning. This micro-geiger used to go around and look for objects and radioactive minerals. 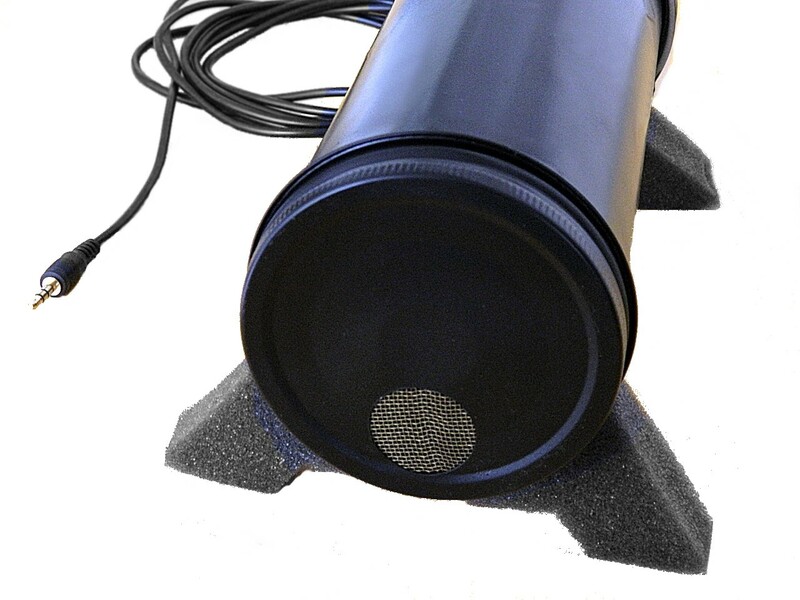 The complete set of drums, buzzer, flashing led, Geigeradapter and Geiger tube can stay comfortably in a shirt pocket. 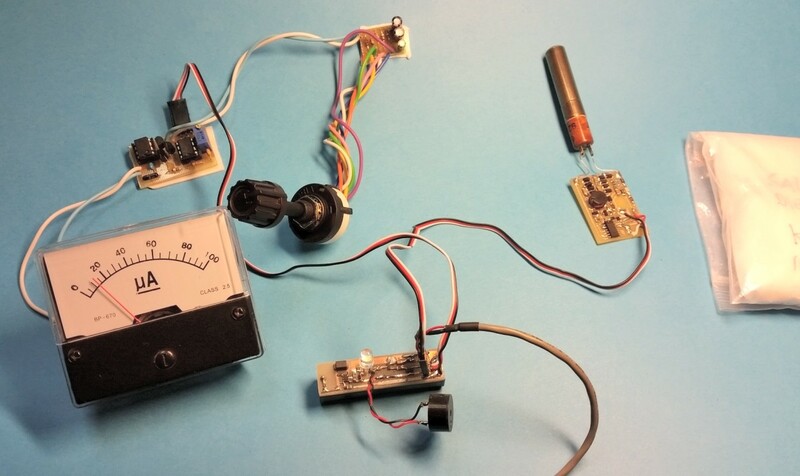 You can link the same probes (Geiger tube + Geiger Adapter) that are used for precise measurements in the laboratory with the application ThereminoGeiger. 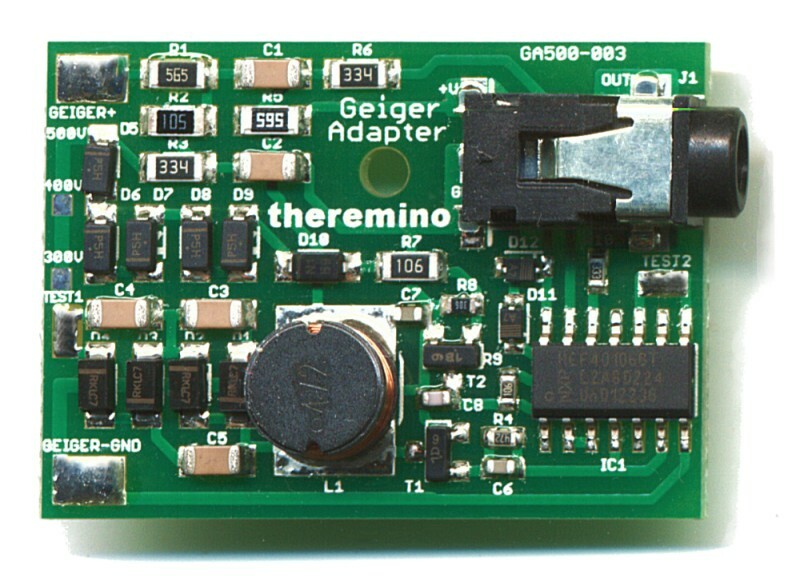 Detaches the probe from Theremino Master and connects to Theremino Checker, that provides the 5 Volt required, starting from a stack from 1.5 Volts. 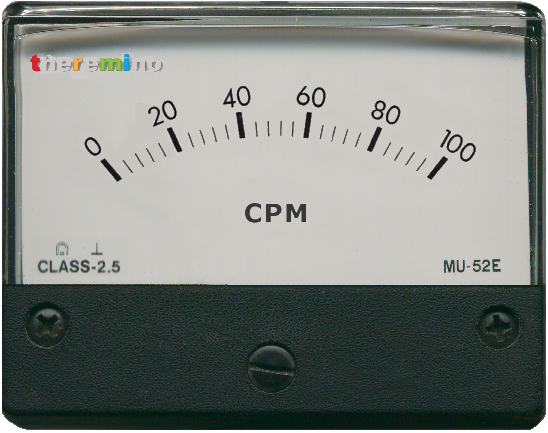 The operation is completely analog (led and sound) and you can even add a ratemeter with analog instrument should have to measure the CPM in six steps. 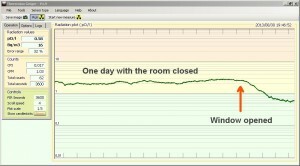 Then you get a device much like a ratemeter Ludlum with traditional scales x 1, x 10, x 100 and x 1000 and with three courses of integration by 20 Seconds, 2 minutes and 30 minutes. The features are even better than the old analog geiger, linearity and accuracy are absolute (best of 0.8% in all ranges), size and consumption are minimal and you use one battery from 1.5 Volts. The circuit board is the same size as the battery holder (behind the PCB) for a single battery from 1.5 Volt AAA. The consumption is less than 30 UA whereby the battery takes about 3 years continuously (800 Ma/h divided by 30 UA = 26000 hours = 3 years). If you use only LEDs do not have the problem of sounds and you might as well leave it turned on. For those who prefer a handset with digital measurement, output is available to connect an Android SmartPhone, with the free software PocketGeiger, or an iPad or iPhone with Ios7 and with GeigerBot software, free too. ATTENTION: The resistor R6 serves as protection against short circuits. If the battery has a high internal resistance, the checker might have trouble starting, and failing to reach the 5 Volts, It would consume much more power than they should (In addition 50 but instead of 30 UA). To avoid it you could replace the resistor R6 with one from 4.7 ohm resistor. With this change in case of short circuits the resistor would burn, you will then need to consider a fuse. INCREASE THE LED LIGHT AND THE INTENSITY OF SOUND: To consume little and holding the stack up to three years of continuous operation, This circuit provides a buzzer and an led high efficiency. To use inefficient LEDs and BUZZER (But accepting a battery life of up to one year), You can use the following values: R1 = 22k / R2 = 220k / C3 = 100nF (or at least until 220nF) / Q1 = BC547C / Q2 = BC547C (Transistors must be with extension “C”, that means a gain from 500 to 600). CONNECT SMARTPHONES: Some cellphones emit about two volts to power an eventual electret microphone. This tension can turn on the LED. If they do add a 100nF capacitor in series with R2 (cut the track between R1 and R2). How much smaller than a Ludlum M3 this tool is no longer in my shirt pocket so you plan to connect it to the Checker only in some cases. There are no batteries and is fed directly from the checker through mini-jack. This is the scale to print and put in the analog instrument should have. 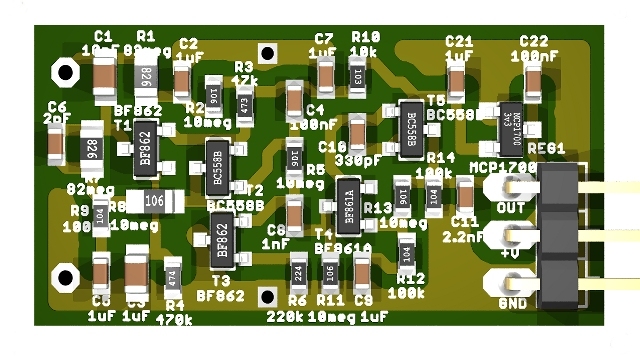 In this scheme are shown BC587 transistors, that are not easily. Instead you can use BC556 or BC557, or any other small PNP, I have a current gain (HFE minimum), of at least 100. The ratemeter is extremely linear circuit, the impulses received from geiger tubes are elongated and reversed by TLC555, and come out with a constant width of approximately 350 uS. Finally, through a precise current generator, the pulses are loading a RC network connected to terminals SW1 and SW2. The impulses coming from the Geiger must be positive and wide 10 to 250 uS (the impulses of Geiger tubes are always in this range). 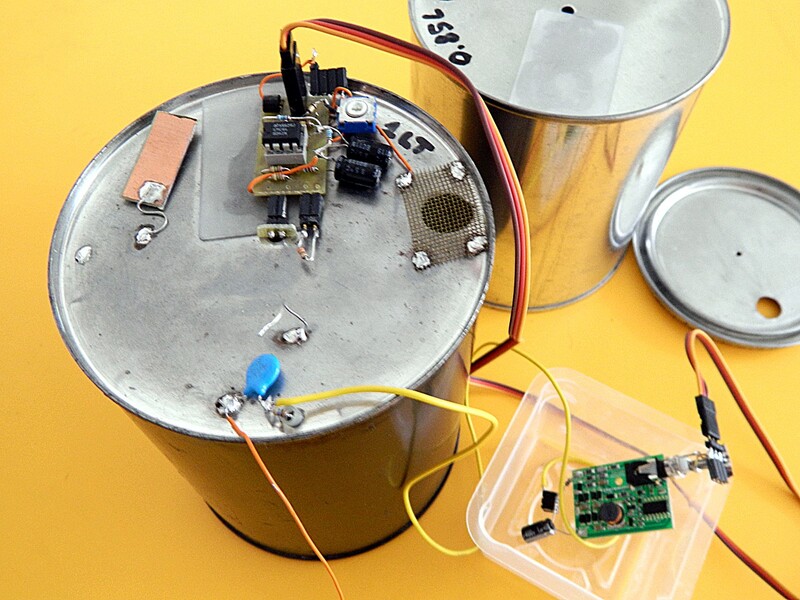 Use instruments sensitive to simply conserve and thus to make the battery last longer. 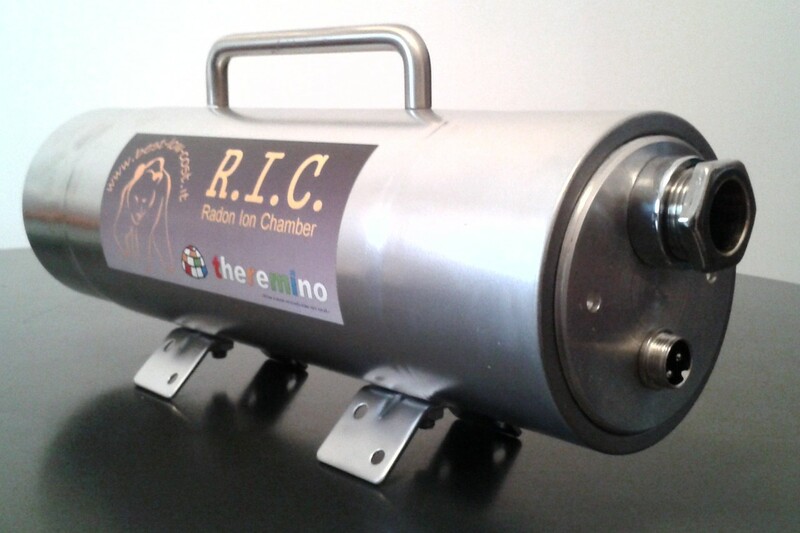 When the second hand is towards zero, consumption is very low, but when it's at full scale, the consumption becomes equal to the full scale of the instrument should have micro amp. 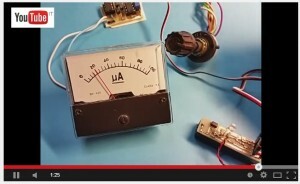 With the trimmer “Qtr1” do you calibrate, just a pulse generator. The calibration is carried out at a single point is then valid for all courses with very little linearity errors, less than one percent and still invisible on an analog instrument should have. 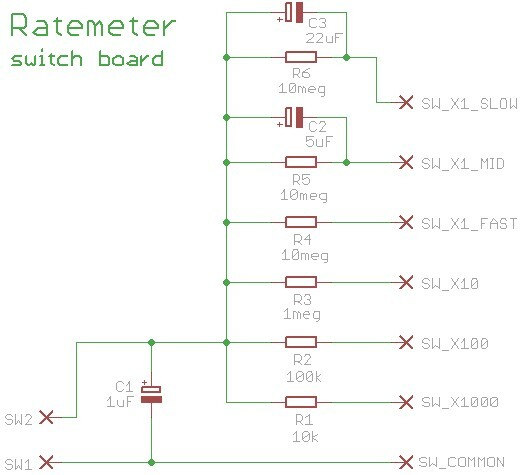 RC networks (on the PCB of the flow switch) provide a simple method, very accurate and straightforward to get several courses with a single integration capacitor. 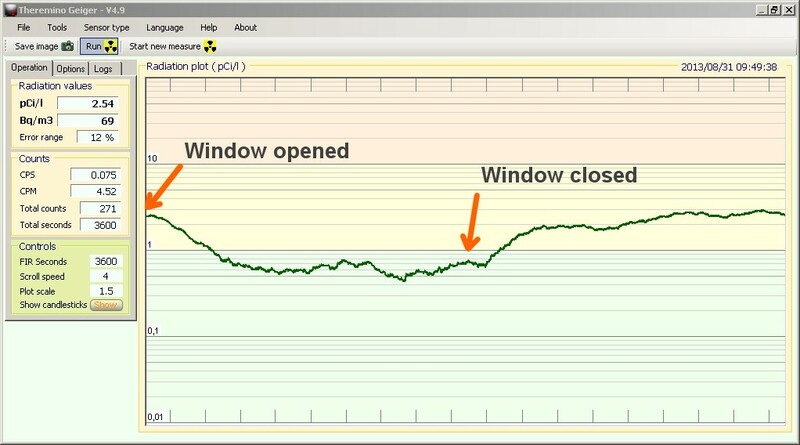 With this method the integration time automatically adapts to the different levels of radioactivity. The low range provides a choice of three integration times to increase the accuracy of the measurements at the expense of responsiveness. A six position switch provides precise and linear scale that do not require calibration. In the left picture you see the complete system: Checker + Ratemeter + Geiger Adapter + Geiger Tube + dietary salt bag containing Potassium. The scheme is simple and can be assembled in five minutes even on a Breadboard. If you connect the outputs to a Master you can count regardless of the three channels by configuring the input Pin as simple Counter. 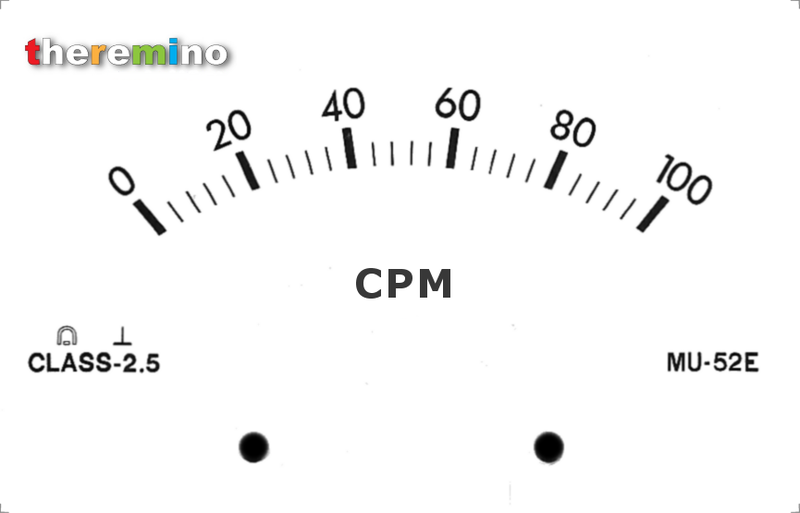 You do not need to set the pins like FastCounter, because the number of events per minute is very low. If the two GM tubes (Geiger Muller) emit a pulse at the same time the door U1B reveals this coincidence with a pulse output that the Red led. Contemporary impulses may be randomly generated by two contemporary disintegrations, but the probability of this happening is very low. About one chance in a hundred thousand (Since the pulses of the tubes are about 100 us and that occur a few pulses per minute). Then, If the Red led lights, We can say with 99.999% of probability, It was revealed a cosmic ray. Yes, It's true, This is an exaggerated pignolaggine and practically no one can see the difference. Who doesn't want this benefit can eliminate C1, C2, R1 and R2. The LEDs are switched on for many milliseconds and so are fifty times brighter than before. The input signals are tightened a few uS whereby the random coincidences are reduced virtually to zero. Note that we kept the output resistors R5, R8 and R11 are very low, in order to use shielded cables of more than one hundred meters (someone does it). 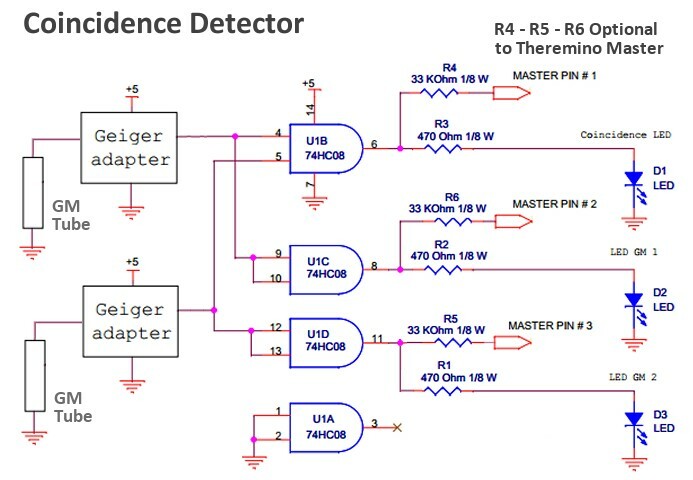 Therefore the LEDs must be present, Why limit the voltage sent to the pins of the system Theremino. This adapter allows you to connect your GeigerAdapter directly to your PC, without using a ThereminoMaster. Power is drawn directly from the serial port DTR and RTS signals. The pulses are reinforced with a transistor (any small NPN is suitable) and sent to beacon RD, It interprets them as start bit. Whereby at each pulse you will receive a character (the value of which does not matter). These are the recommended geiger tubes, are the best and we tried them long. Prices in parentheses are only indicative, This is the price you found on eBay. Unfortunately the evidence about the Pin diodes are not progressing well. Also in theory, putting many in parallel sensitivity is always poor. 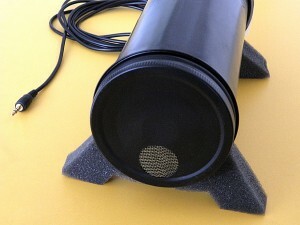 A tube SBM20 works best, does not require charging amps and delicate also sees the beta rays, and very low energy. Spice simulations gave good chances in this project and hoped to be able to make cheap spectrometry. But trying the charge amplifier, with 10 diodes BPW34 and with a strong source of Gamma Rays (thorium mantle), the results were disappointing. Told with words similar to those of Einstein: “We have combined the theory to practice and did not work a tube”. Or is there an error of concept (very narrow bandwidth for example) or we missed some serious experimental error. The wiring diagrams are available as images and Eagle. Spice files are for “Circuitmaker”, the old Simulator that we used before LTSpice. 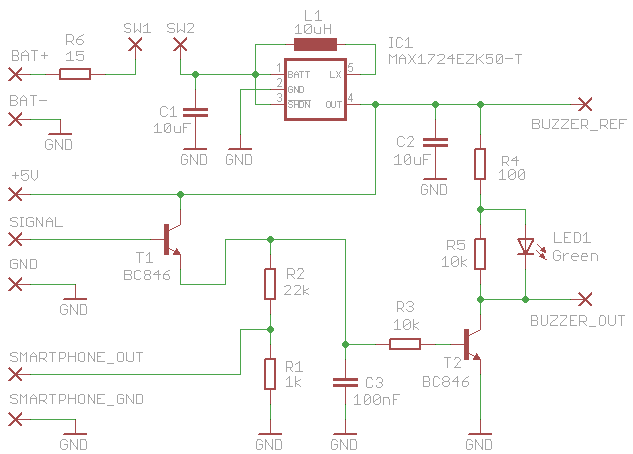 Not having CircuitMaker, You should redo it to LTSpice. And attention: you have to shield everything from light and electric fields, while letting Gamma Rays. 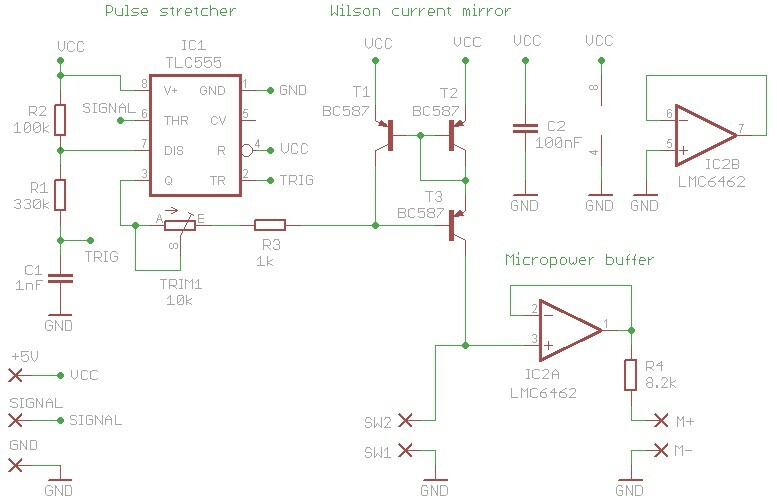 And you have to build a small PCB, exactly as directed by us, otherwise the parasitic capacitance, combined with the large amplification will auto-swing. 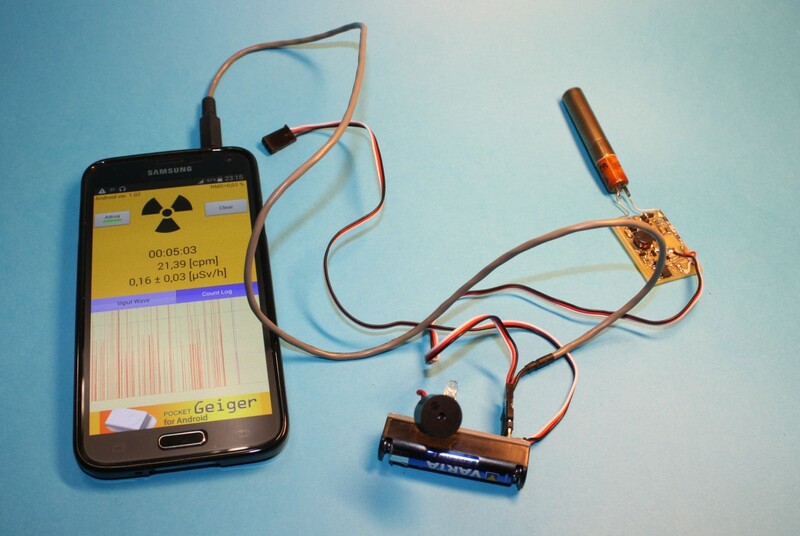 Pin diode radiation sensors are cheaper, But even less sensitive, a Geiger tube. One of the best Pin diodes to use is BPW34, It costs about 0.5 Euro. The sensitivity of the BPW34 is about 0.6 CPS for mR/hr (about one twentieth of a geiger tube). To amplify the weak signal of pin diodes you need a charge amplifier, but those available on the market are very expensive (from 150 to 300 euro and more), they have a fairly high power consumption and require a dual power supply (usually 12 volts positive and 12 Volt negatives). 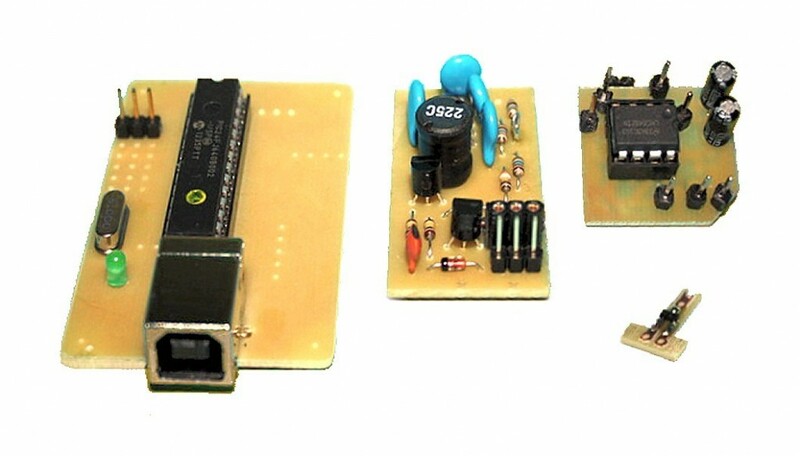 This charge amplifier at low cost, developed tailored to the system Theremino, It has a very low power consumption (about 10 micro amps) and can be powered with a single voltage 3.5 to 6 volts. Its good noise characteristics allow to amplify many pin diodes in parallel increasing proportionately the sensitivity.